There are no better experts on combining foraging with haute cuisine than Tama Matsuoka Wong, the forager for Daniel Boulud's flagship restaurant, Daniel, and Eddy Leroux, the restaurant's chef du cuisine. 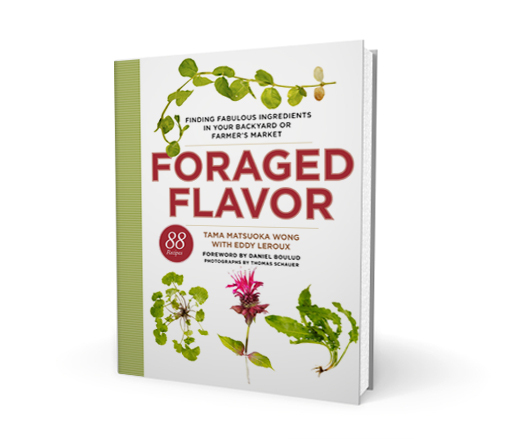 In their seasonally organized field guide and cookbook, Foraged Flavor: Finding Fabulous Ingredients in Your Backyard or Farmer's Market, the duo divulges their secrets on how to forage for wild food and turn it into unique and delicious meals. Beard on Books is an ongoing monthly literary series featuring readings and discussions with some of the food world’s most celebrated authors. Acqua Panna and S.Pellegrino waters, tea from Le Palais des Thés, Lavazza Coffee, and Green & Black’s Organic Chocolate will be served. Foraged treats will be provided by Eddy Leroux. Guests are also welcome to bring a brown-bag lunch. Books will be available for purchase from Mobile Libris. Suggested donation $20. Free admission for students.